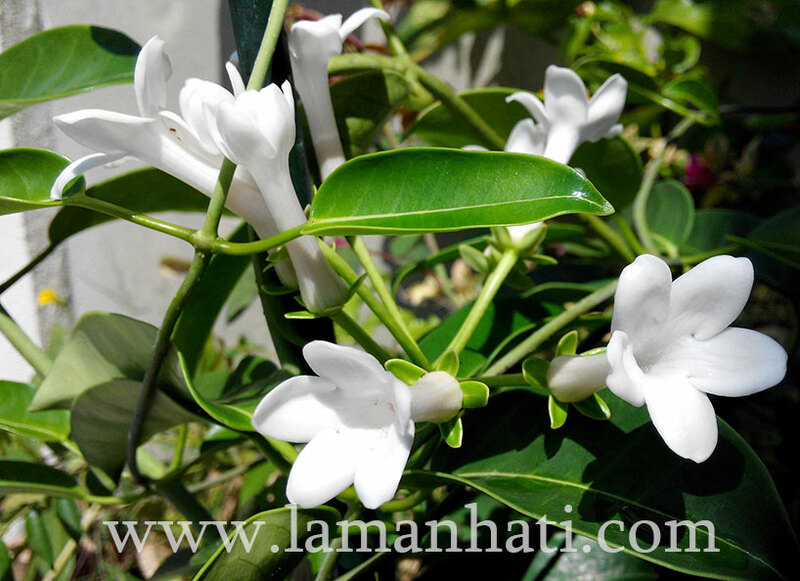 When I first bought this plant, I thought it belongs to the jasmine family since it is called Madagascar Jasmine. However later after reading a few website, I realized it is called Madagascar Jasmine because it originated from Madagascar and the flowers have nice fragrance like most of jasmine flowers. 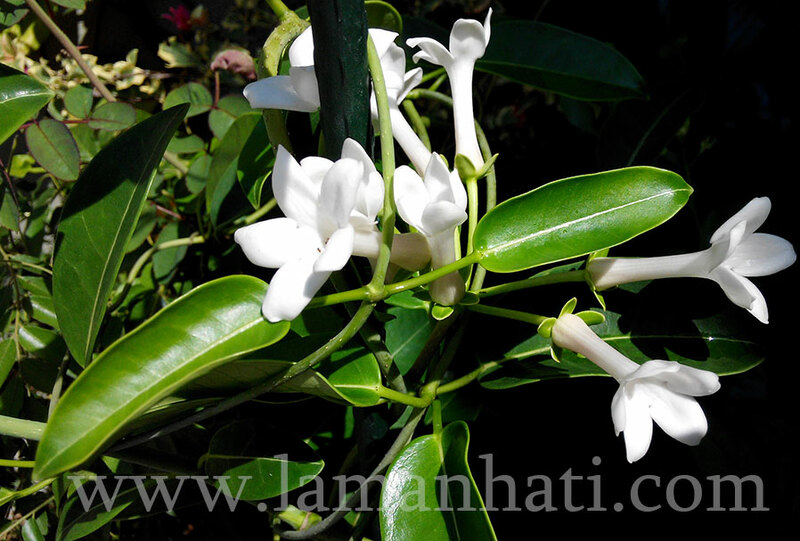 The botanical name of this Madagascar Jasmine is Stephanotis floribunda. The common name is wax flower or bridal veil. The Jasmine plant is commonly used for bridal bouquets and wreaths. This is because of the small white attractive blooms which match the white wedding look needed, and the stems winding around wire hoops, create a perfect wreath. The twining stems can grow up to 15 ft. long. The plant is non-toxic to cats and dogs. It is considered as tricky bloomers unless you can provide suitable conditions and have patience. It needs plenty of bright light during the growing season. Unlike many other vines, you shouldn’t do a lot of pruning since it won’t encourage new growth. To propagate you can take non flowering stem cuttings with at least two nodes present. The stephanotis can also be propagated by seed – if you are lucky enough to have the pear shaped fruit appear (containing the seeds). For now, my Madagascar Jasmine has only bloomed once in June since I first bought it early this year. I have been trying to get it to bloom again but so far to no avail. It is a tricky bloomer, sigh! This entry was posted in Flowering Plants. Bookmark the permalink.